by Ankita Pandey Vallikappen at TABLA! It had been Mr Ravi Rai’s childhood dream to start a foundation for homeless children in India. Mr Rai, who was born in Singapore, would visit his ancestral home in Pharsar, Uttar Pradesh, as a child with his freedom fighter father Ram Awadh Rai and would be in shock seeing destitute and impoverished children his age living on footpaths and railway platforms in India. There are now about 78 million homeless people in India, despite its growing economic strength. “As a child, I was deeply affected by their misery and condition. They would be dressed in filthy rags, eat leftover food that people threw away and even do drugs. I decided then that I would do something for them,” Mr Rai, 51, said. So in 1998, after working as an engineer for 13 years in Singapore, the Singaporean headed to India with all of his $300,000 savings to set up the foundation Children Of Mother Earth (COME). He converted his ancestral home in Pharsar into a children’s centre and took in 25 children, providing them with food, shelter, clothing and education. Today, he has expanded the reach of his foundation by opening four more centres and his five centres now house more than 200 children. But it is sometimes difficult to get the children to his centre, because they are addicted to drugs and a life of crime, he said. “They want to run free. Living in a home, studying and caring for others is alien to them. They don’t want to be restricted and don’t understand the value of education,” Mr Rai said. But his persistence eventually pays off. Sometimes poor parents also leave their children at his centre to keep them off the streets. Mr Rai relies on the $2,000 rent he receives from his three-room flat in Clementi and donations from well-wishers to keep his foundation running. “When I began, I wanted to do this all on my own, from my own savings and whatever other money I was making through rent. I was headstrong and egotistical. I didn’t want to ask anybody for help,” Mr Rai said. But reality hit him hard when in no time the funds were depleted and the number of children who needed help overwhelmed him. “I couldn’t set a number on the children I would help. If I saw a homeless, destitute child, I had to take him in. Then at one point I realised I couldn’t do this on my own. Since then friends and benefactors have helped me greatly with their time and money,” Mr Rai said. His centres, located in Delhi, Pharsar, Lucknow, Gorakhpur and Kuraunee near Lucknow, not only provide lodging to children but also vocational training, medical help and counselling to more than 500 children who go to the centres but do not live there. Mr Rai’s family shuttled between India and Singapore during his childhood. The eight children in the family (three brothers and five sisters) were given the option of pursuing their education in Singapore or India. Mr Rai chose India, the country he fell in love with, with every subsequent visit. “I did my schooling and then pursued an engineering degree in India, before coming back to Singapore to work,” Mr Rai said, adding that those years spent in India gave him an understanding of the place and how things worked there. His late father, who worked with Indian leader Subhash Chandra Bose, was also a big influence in his life. “It is not easy to start something new in India. The bureaucracy and the red tape can be stifling,” Mr Rai said. He recalled an incident when he first went to register COME in 1998. The officer in charge asked him for a bribe of Rs2,000 to do his work but Mr Rai refused. Thus he had to face countless obstacles and ill-treatment. “But along with the corruption, there are some very kind and good people who helped me in my work,” Mr Rai said. Like Indian Railways Board ex-chairman J.P. Batra, who gave him abandoned railway warehouses in Delhi and Gorakhpur and an unused railway building in Lucknow to open three COME centres. Mr Rai now lives in India at his home in Pharsar. His efforts were recognised by the UP state government. The chief minister of the state Akhilesh Yadav presented him with an award in appreciation for his humanitarian work. 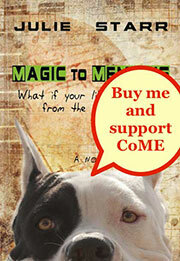 He recently held an exhibition in Singapore to garner support for COME. 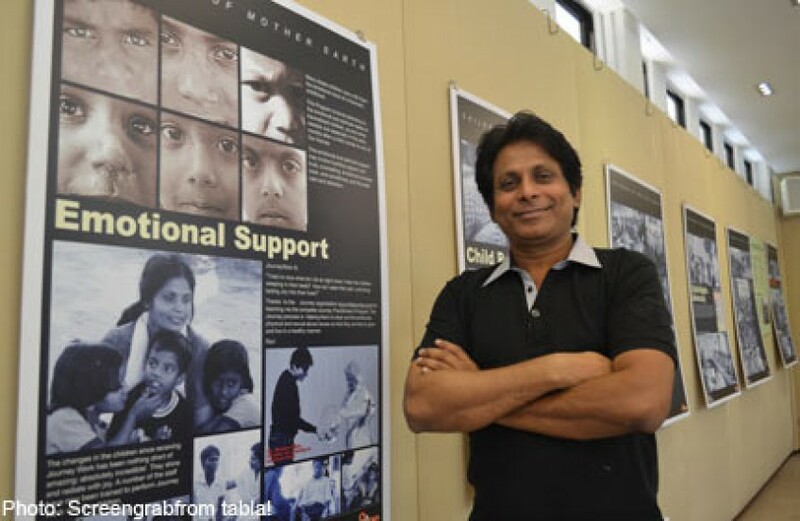 He aims to expand and open more centres across India to help children in need. BHARAT MA KA ASLI LAL I SALUTE TO YOU. GOD HELP YOU. IS DESH KO AAP JAISE LOGO KI JARURAT HAI.